What types of products does your company sell? Do you have product images? Do you have product descriptions written? Do you need inventory control? Do you want customers to be able to leave product reviews? What forms of payment are you set up to accept? Do you have an existing merchant account? Do you need tax calculated? What shipping providers will you be using to fulfill orders? Do you have an existing shipping accounts? Would you like to offer coupons/discounts? Are you interested in integrating a blog/CMS (content management system)? Is there anything else you want to let us know about your company? Dalia Web Design creates unique web sites which help you reach the goals that you have for creating an online presence - Whether it is for a small business web site or for personal use. Dalia Web Design strives to create professional web site designs that will effectively promote your products or services to your target audience and generate sales for your bottom line. One of our goals is to make your web experience pleasant, easy, affordable, and enjoyable. 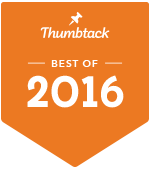 Thumbtack Best of 2016 award! © 2016 Copyright daliawebdesign.com. All Rights Reserved.